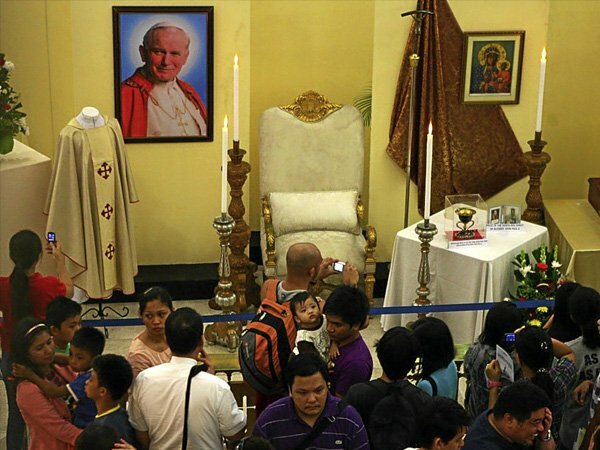 A blood-stained piece of Blessed Pope John Paul II’s cassock is to be venerated in a Covent Garden church in London. The dear Pope was cut like a chicken before his death, and his blood used in religious rituals. Cardinal Dziwisz had soaked the cassock in a vial of Blessed John Paul II’s blood, he said. 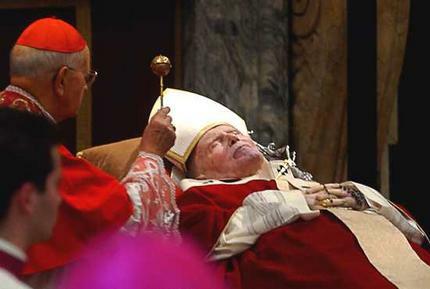 The cardinal, the late pope’s personal secretary, had been given two out of four vials of blood drawn from the pope by his personal doctor in the final stage of his illness. The vials had originally been sent to Bambino Gesu hospital in Rome in case the pope needed a transfusion, but he never did. 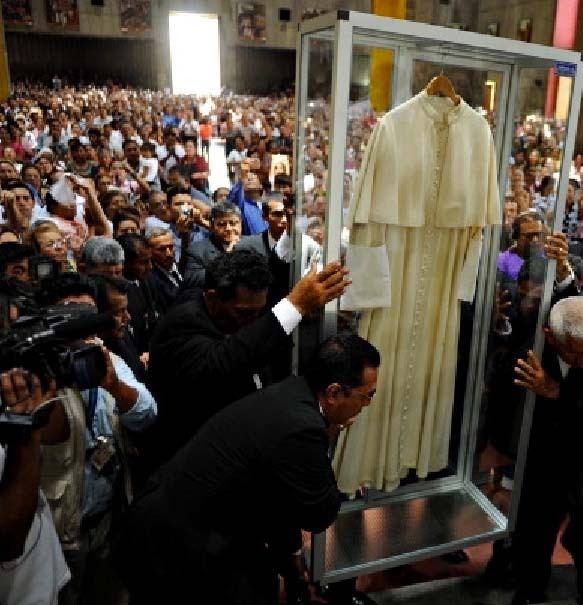 Roman Catholics in Nicaragua rush to pray in front of the garments of the late pope, made into “Holy relics”. The blood of the late Pope used by priests to perform witchcraft. 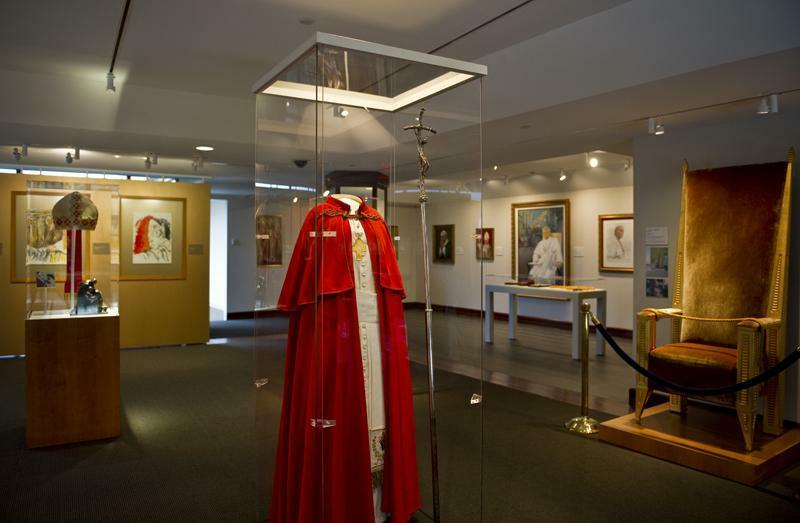 The Popes earthly treasures and garments are made into “Holy relics”. The Roman Catholics adore and venerate whatever a man of flesh left behind on earth, mocking God of the Bible. Fr Hogan, who trained as an opera singer, came up with the idea for the association while praying at the tomb of St Genesius, the patron saint of actors, in Rome. It is amazing and truly sad, that Roman Catholic worship created things. Like the garments of the late pope. It is astonishing wicked to dip a cassock into blood of a human. Such a filthy and perverse act of religiosity must be eternally condemned. That this blood is called “holy” and was tapped from the diseased and dying Pope, is a display of anti-christianity at its most morbid. How can the blood of a crippled and sick man be branded as “holy”? How can a priesthood cut the Pope like he was a chicken, and use his blood as witches use blood of humans? What kind of insane people can ever include such a corrupt and apostate religious movement as a part of Christianity? Be ashamed if you belong to a Church or fellowship who do not bell the Pope as an antichrist, and his followers as a Hell bound movement. If you have not warned your Roman Catholic friends, blood will be on your hands.